Disclaimer: The author is not responsible for any loss of life or any kind of damage incurred by using this handbook. Use this information at your own risk. There is no warranty that this information is 100% accurate. 5. 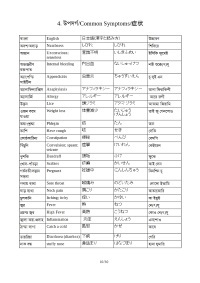 To survive in Japan it is very much important to know Japanese language. 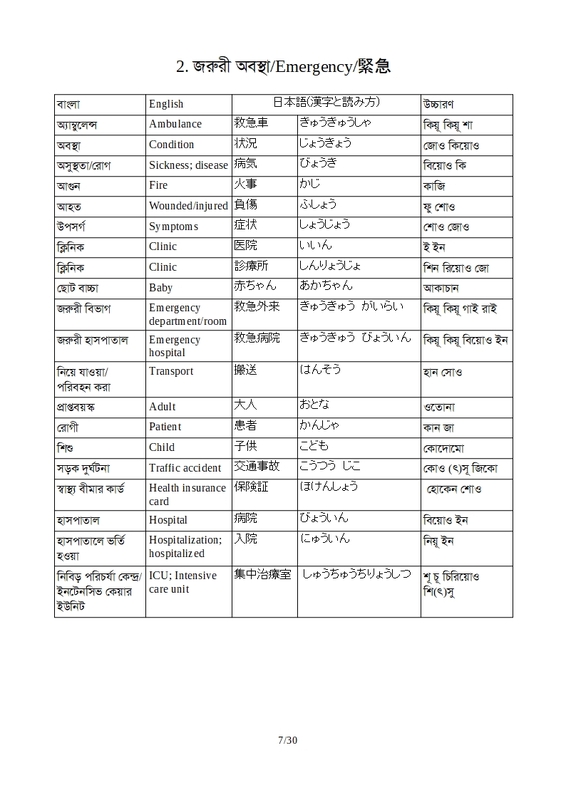 As most of the Japanese hospitals use Japanese language, without knowing medical terms it is very difficult to make them understood one’s emergency situation. So, this book is so much helpful for us (people living in Japan) to get well soon from any kind of illness or accident. 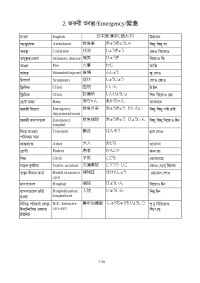 Among thousands of Japanese words, if one can memorize at least medical related terms included in this book, it can help a lot to overcome any emergency situation. I really appreciate this initiative of the author and I’m also grateful to him for his great contribution. 6. I have read this book and found that it covers most of the terms that are needed to visit a doctor. I had been searching this type of books or documents when I had started to live in Japan. I would like to thank the author for his efforts to write such a useful handbook. I strongly believe that it will make people’s life easier to visit hospitals as well as make Japan life smoother. Many many thanks. 9. 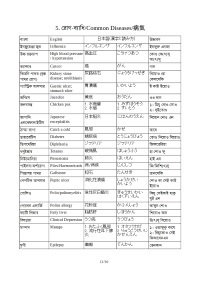 In Japan, foreigners, specially those who do not know Japanese language, face a lot of troubles during getting medical treatment at hospitals as most of the hospitals do not have any English language support. 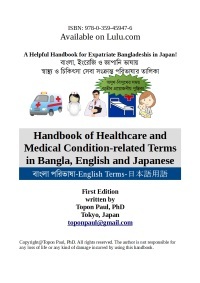 Healthcare and medical condition-related terms are written in this book in a very simple and effective way. Being a doctor, I find almost all the important terms in this handbook, which are essential for both the patients and the doctors. I would like to express my heartfelt gratitude to the author for his wonderful initiative. 10. First of all, I would like to thank Dr. Topon Paul for his great efforts to summarize some very important terms together in a single book. I do belief that the book will help people for years, especially, those who are new to Japan and not so familiar with Japanese language. If I recall the time I just came in Japan, I can imagine how convenient this book is. This effort is invaluable when you consider how busy Dr. Topon Paul is with his duty. He somehow manages time to help other people. I think the difficult time he passed at the beginning while he came to Japan has encouraged him to summarize it so that it can help others. Simply, it is a great effort, and keep going. 12. You have summarized the medical terms in a very easy way from the requirement prospective. I think those people who are currently in Japan and those who will visit Japan in future will definitely be benefited from this book. 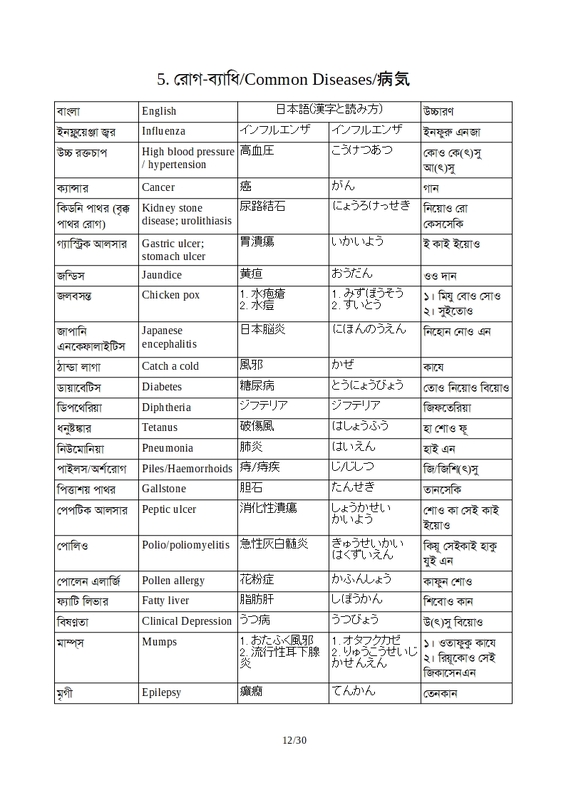 It is sometimes difficult to explain human diseases even in Bengali itself, in English it is more difficult, and in Japanese, there are no words to explain how difficult it is (my opinion). When I came to Japan for the first time and got some pain in my lungs, I was not able to explain my problem to the doctor, and it was very embarrassing situation for me. I know many of my friends who do not go to doctors because they fear they will not be able to explain their symptoms in English to Japanese doctors though they are paying high medical insurance fees here. We know that Japanese Government usually provides guidebooks, such as lifestyle handbook, medical handbook, business establishment handbook, etc. 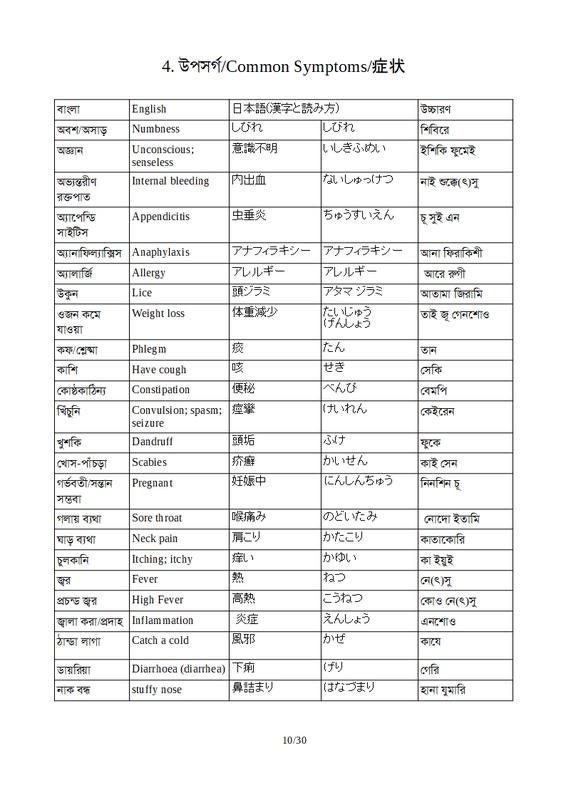 in Japanese language for Japanese nationals who are in overseas, for leading a smooth life there. We also need those kinds of books in Japan to lead a secured and tension-free life. In this direction, I really appreciate your efforts because your book may be an example of that. I hope our Bangladesh Embassy in Japan as well as NGOs may share your book through their websites or other means if they think it is useful. Wish you all the best!!! --Anjan Das, President, Kaicom Solutions Japan Co. Ltd.
13. You have done a great job! Credits deserved.